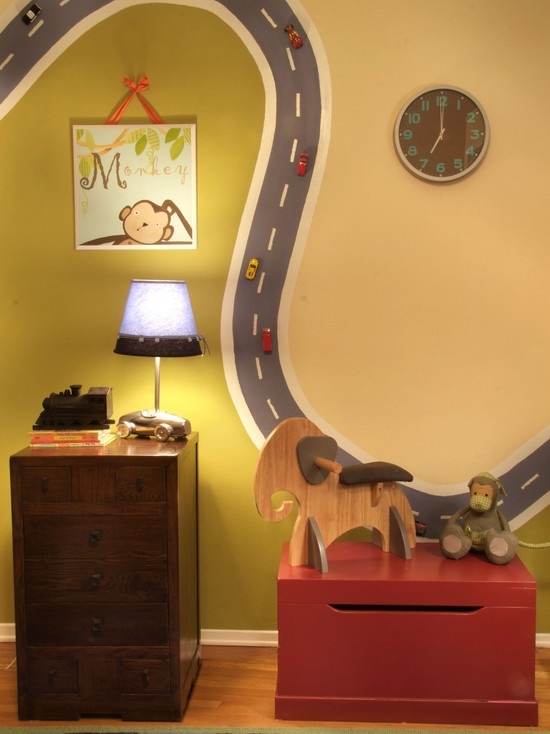 I love this idea for a boys room! Do the road with magnetic paint and add magnets to the cars. Would also be cool if you could make the white sides out of some kind of foam for a neat 3D effect. Via Koka Interiors. love this idea too, thanks for sharing!